Amy Newlove Schroeder's first book, The Sleep Hotel, received the Field Prize and was published by Oberlin College Press in 2010. A founding editor of the literary journal POOL, Amy now teaches writing at USC. Her poems and essays have appeared in American Poetry Review, Boston Review, Witness, Field, Colorado Review, and Ploughshares. 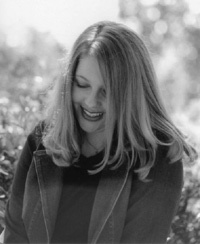 Amy earned her Ph.D. in literature and creative writing from USC and also studied at UC Berkeley and Washington University in St. Louis. She spent a year living and teaching in Istanbul, Turkey, and currently resides in Los Angeles.